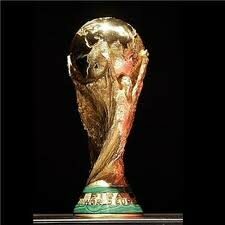 Football has known many great players, however there are only a few that stand out the most. It are these players that are generally seen as the best players ever. This website contains info and footage of these players. The football game has many aspects, like dribbling, defending, scoring goals etc. Not every player is the same or has the same task. We created a top 10 list of each aspect of the game so you can see which players were the best in their ability. As we try to be a very interactive site, we give visitors the possibility to vote on their favorite player. The voting results are displayed below. Ever wanted to create your own Dream Team? Here is your chance! You can select any player you want. You are the coach and can select the tactic your team fits the best as well as your team's colors. 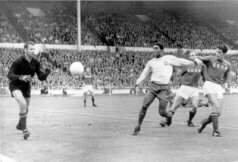 Brazil never lost a game with both Pelé and Garrincha in the team, a total of 49 games. 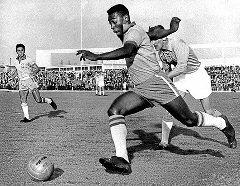 Just Fontaine holds the record for scoring the most goals at a single World Cup. He did this in 1958 by scoring 13 goals for France. 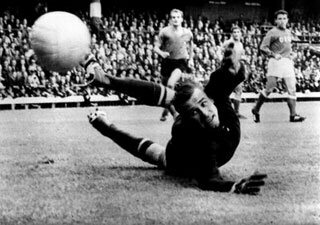 Lev Yashin is the only goalkeeper who received the European footballer of the year award (1963). He also stopped 150 penalties in his career.